As an Interventional Cardiologist Dr. Alqaisi provides general cardiology care and performs interventional procedures. His special interests include interventional cardiology and peripheral vascular interventions. His specialties include echocardiology, transesophageal studies, cardiac CT, and PFO/ASD closure. He joined the Inland Cardiology team in 2011. Dr. Alqaisi is Board Certified in Adult Echocardiography, General Cardiology, Internal Medicine, Interventional Cardiology, and Nuclear Cardiology. 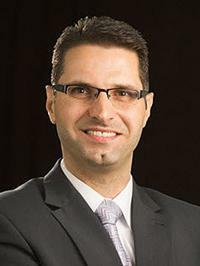 He completed his Residency and Fellowship in Internal Medicine, General Cardiology and Interventional Cardiology at Henry Ford Hospital, Detroit, Michigan. I had a very awesome visit with Dr. Alqaisi. He is very patient, kind, professional, caring, easy to understand & thorough! I was nearly 1 hour late in seeing the Doctor. My appointment was at 11am........both the Doctor and Nurse apologized at least twice for the delay. I've been seeing the Doctor for four years now and this is the first time that I can remember him being late! Nothing but good to report. Have recommended him to friends and family. The wait was a little long. The doctor was very busy. Overall a good experience! a man I value, thx Dr. Very polite and courteous provider. Dr. Alqaisi is thorough, patient and clear. I appreciate his expertise and concern to solve issues. Dr. AlQaissi discovered a regurgitating mitral in my heart. It was repaired. If not discovered it could and probably would have caused a heart attack and unknown damage. I feel Dr. AlQassi saved my life. Dr. Alqaisi always dedicated time and is very nice and attentive in his consultations. Dr. Alqaisi is concerned about my chest pain... he listens to me & it appears he sincerely attends me very good & gave me a good plan of health.